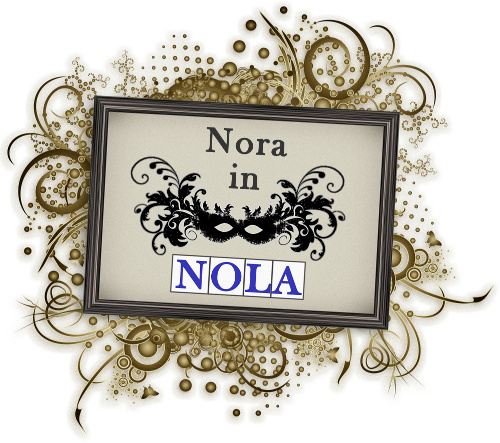 NORA in NOLA: I certainly shouldn't have said it was illegal! Well, I mean it's normal hot for summer in New Orleans. I miss the rain, though. It should be wetter. Ah well, it's only the start of the season. Still have June, July, August, and September to get through! Blogging has been minimal because I have been cooking at home and laying low. Went on a Tullamore Dew fueled bit of a bender over the holiday weekend and have not been drinking much since then. So, these are not the adventurous days of a blogger. But that will change. It always does. But I am super excited about the very boring news that we've cooked every day for the past week! Pesto on Friday, curry on Saturday, some crazy awesome white bean and kale thing on Sunday, pasta with fresh raw tomatoes, olive oil, and mozzerella cheese on Monday, red beans on Tuesday, another kind of curry (with okra and potatoes) on Wednesday, and a grilled chicken over grits with an awesome cream sauce with pancetta and mushrooms tonight. I may not be able to get up in time to hit the farmer's market anymore, but I am working the Hollygrove Farm's weekly produce box with a vengeance! I think all we have left is an eggplant, a cucumber, and 2 pattypan squashes.